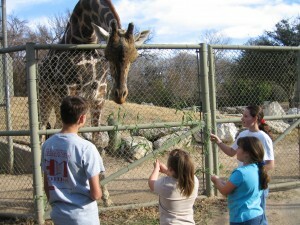 Schedule a once in a lifetime peek behind the scenes at Cameron Park Zoo. Your group will enjoy touring select areas that are typically off limits to the public, while learning specific information about our zoo residents. $20.00 per person, plus admission, minimum of 10 people.